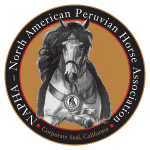 As one of Canada’s largest and long standing breeders of Peruvian Paso Horses, our main focus is to breed strong, well gaited horses with brio and good minds. Our Number 1 Priority and our promise to you, is to do our best to place with right horse with the right rider for a truly “Win Win” situation. We believe it is vital to employ good people, people who not only bring with them pertinent knowledge and years of experience in the equine industry, but those who share our passion for the horse. We are fortunate to have exceptional employees who take pride and ownership in the ranch and the horses we produce.